You will earn 120 loyalty point(s). 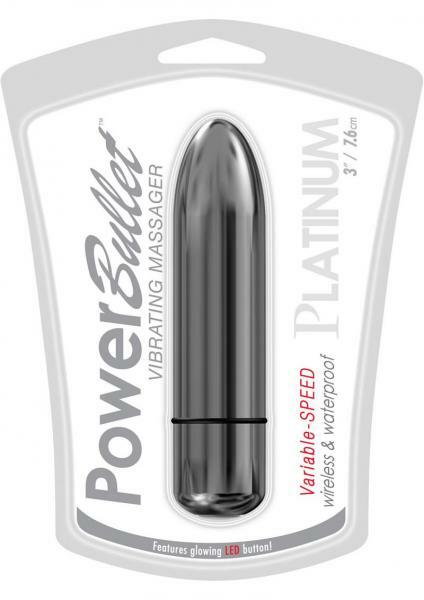 Platinum is synonymous with luxury, and this PowerBullet is no exception. Covered with silky smooth material, this Platinum will not only be your favorite accessory in your toy box, but it`s way more affordable than any ring. 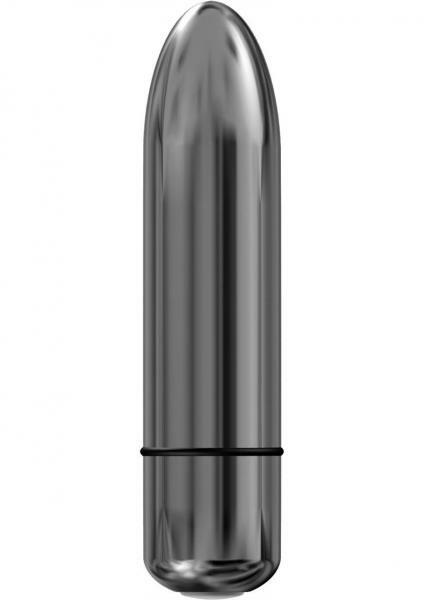 The Platinum PowerBullet also has a new technology to control the speed, it`s called Variable Speed control. Simply press and hold the button down and feel the vibrations increase. When the desired speed is found, let go of the button. To go higher, simply press and hold the button again. When you want to turn it off, press and release the button quickly. Along with being wireless and waterproof, the Platinum features a glowing LED button with an attractive upgraded flat button, making it easier and more comfortable to use. my new favorite bullet. I can't wait to order more of these products.